Customize the Country French Bun Foot by choosing an Add-On below. Designed to convey warmth and hospitality, the Country French Bun Foot perfectly complements your rustic, traditional, and Country French décor. The Country French Bun Foot — available in Mini, plain, tall and large — invokes feelings of cheer when added to your chosen furniture piece. 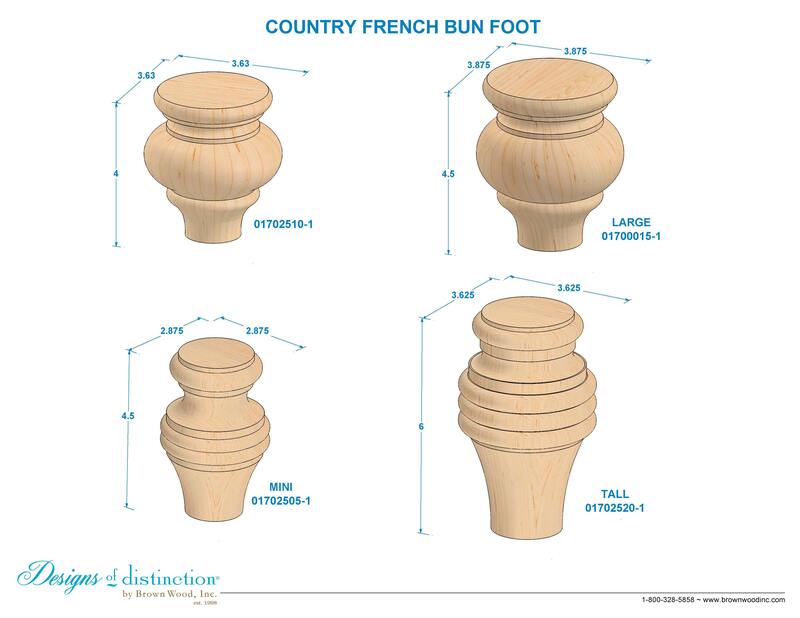 Finish or update your cabinets, seating, chests or bed frames using the Country French Bun Foot. Establish a theme using all wood components from the Country French Collection.